This past Thursday night New Yorkers took to the streets in mass quantities to participate in the much hyped, Fashion’s Night Out. 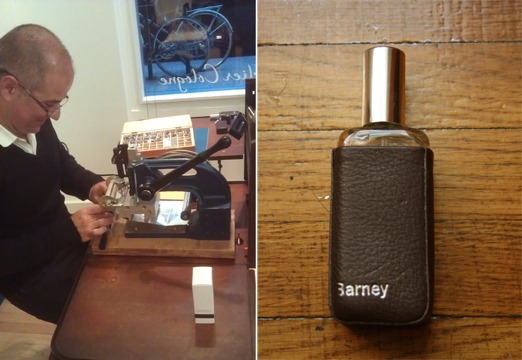 For the third year in a row, however, I took the opportunity to personalize it and have a Fragrant Night Out and hit the streets to see what’s happening fragrance wise. 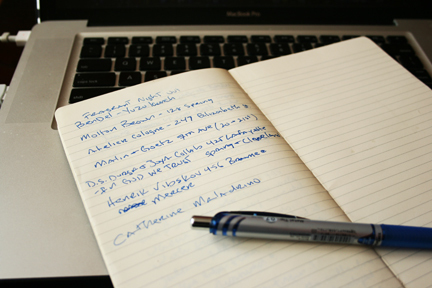 This year’s event clashed with President Obama’s Jobs speech and the Kickoff of the 2011 NFL Football season. That really had me thinking about skipping out altogether. The Saints vs. The Packers is always entertaining and after a summer of labor disputes, this was a moment to be celebrated with some wings and beer. The only sensible thing to do was conduct an abbreviated version. I normally begin the night in midtown and work my way downtown but the promoters of Fashion’s Night Out are doing such a good job that the number of brands participating is increasing and along with that comes bigger promotions and more people. The only way to strike a happy medium was to start and end downtown. First stop, Atelier Cologne. As I reported in my Elements Showcase Recap, the brand planned on opening its first freestanding store on Elizabeth Street in Nolita. Well, I popped in Thursday night and the store is beautiful. It’s only been open two weeks now and Gerard Camme, President and Partner of Atelier Cologne, said they’re still putting finishing touches on the store. 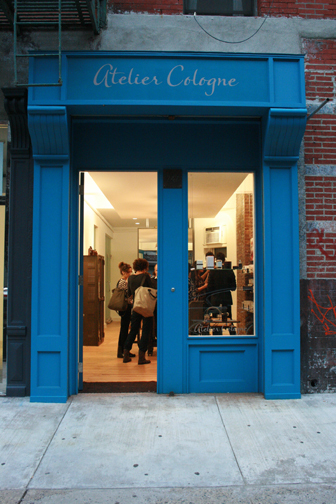 Its blue exterior is really a nice touch and will become its calling card once more people realize the store is there. Fully stocked with French milled soap, candles and of course its fragrance collection, Atelier is also engraving leather bottle sleeves. When you purchase a 200ml bottle of any of its fragrances, they give you an empty bottle along with a leather sleeve that can be personally engraved. It’s a nice touch as the small bottle is perfect for traveling. And to my surprise, as I was about to leave, they offered to personalize one for me. Who could say no to that? 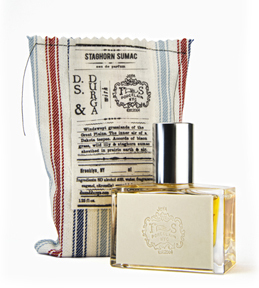 From there I hopped over to In God We Trust, a nice store on Lafayette, as it is one of the few spots carrying the limited edition collaboration between D.S & Durga and Joya, Staghorn Sumac. I absolutely love this fragrance and while I’m familiar with it, I just had to pass through. Everything from the pouch it’s packaged in to the porcelain plate on the bottle is well done. As for the juice, as I tweeted, “that’s that ish right there.” The scent literally jumps off my skin. Throughout the night I kept going back to my hand to see how it was developing and it only reconfirmed my thoughts, it’s rugged and earthy. Give me a chunky cardigan, a pair of the new Gap Jeans (shout out to Nicole King-Burroughs, I see you doing your thing) and some nice boots and Staghorn Sumac would be my finishing touch. 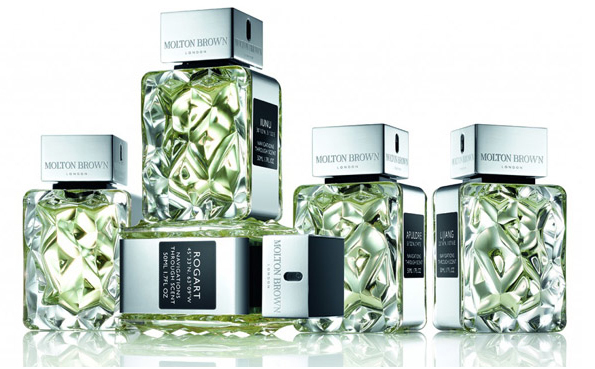 I then headed west to Spring Street stop in at Molton Brown to get a whiff of its newly launched Navigations Through Scent. It took a while to get there as it felt like all of Fashion’s Night Out was on that strip. I’m sure Kim Kardashian and The Roots had something to do with that. Nevertheless, putting up with the crowd was worth it. The new collection includes five scents and each captures the essence of a particular place. As press materials describe it, the collections spans from “the ruined temples of Egypt, along the ancient silk and spice routes to China and Indonesia, through to England and the brave new world, Canada.” All that being said, I’m impressed. Of the five, my favorite are Singosari, which is slightly smokey with a warm and sweet spice, and Apuldre, which opens vibrant and does a good job of balancing violet and leather. It really is an interesting juxtaposition. To me it is the most unique in the collection. This entry was posted in Uncategorized and tagged Apuldure, Atelier Colgone, D.S. & Durga, Fashion's Night Out, Fragrant Night Out, In God We Trust, Joya, Kim Kardashian, Men's Scents, Molton Brown, Navigations Through Scent, New Fall Scents, Singosari, Staghorn Sumac, The Roots. Bookmark the permalink.